Rashmi Khedkar completed a career triple jump, changing sector, country, and role, after her MBA at CUHK Business School. She switched working in business development at a healthcare startup in India, for marketing in the luxury industry in Hong Kong at Fossil Group—a global lifestyle accessories company. Rashmi pursued her MBA hoping to develop a holistic business perspective. Unsure of what career path she wanted to take when she joined, CUHK Business School enabled her to explore opportunities in marketing through course modules, an internship, and the CUHK Marketing Club. Drawn to the Asia-Pacific region for its internationality and dynamicity, Rashmi was able to follow her newly developed interest through industry connections and the network she established at CUHK—Asia’s longest-running MBA program. On completing her MBA internship with Fossil Group, she was offered a full-time role with the company. 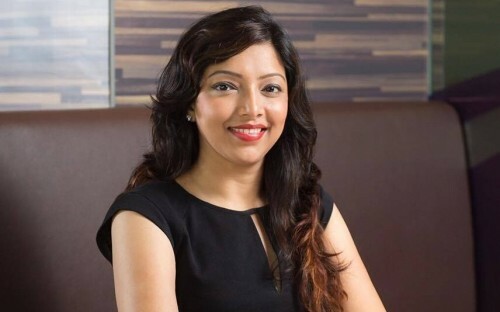 BusinessBecause caught up with Rashmi to find out more. How did your CUHK MBA help you land a role with Fossil Group? The CUHK MBA curriculum is designed to encourage students to explore new avenues in business and technology. Through the course, I realized how much marketing has evolved. It’s undergone various changes and new areas are constantly emerging such as social media marketing, influencer marketing, and content marketing. I was inclined towards marketing and followed developments in the field throughout my MBA. I was excited to have the opportunity to intern at Fossil. It provided the chance to apply and test the theoretical knowledge I had gained with good support from my colleagues and seniors—the work culture at Fossil was amazing. It turned out to be a fruitful experience and I was offered a full-time role. How did your MBA help you transition from healthcare in India to the luxury industry in Hong Kong? In India, working at a startup in the healthcare industry involved complying with regulations, liaising with authorities, getting approvals, and focusing on expanding the business. Startup culture requires the ability to manage uncertainties. The luxury industry needs different skills. The pace of work is fast, and that is a challenge initially. The work involves creating an aura around the brand, and making sure that people remember it throughout the customer decision making process. It involves looking at the finer aspects of consumer behavior. At CUHK, I was able to develop my overall business perspective and gain experience of multicultural, diversified markets. This provided an education important for any future business roles. What did you learn as vice president of CUHK's Marketing Club? When I joined CUHK, I wasn’t sure how my career would develop, but I had an interest in marketing. This led me to join the marketing club. It helped me become more informed about where marketing was heading through various assignments, projects, and case studies. The networking activities and constant interaction with industry representatives helped me gain further insights. It shaped my career choices and enabled me to explore the industry. I realized the importance of international exposure when it came to understanding how businesses operate in different parts of the world. The Asia-Pacific region is an area of business growth, home to numerous emerging markets undergoing disruptions of business models and technologies on a regular basis. This convinced me to pursue my MBA in Asia. The MBA at CUHK Business School is the oldest in the region, consistently ranked among the best in the world. Located in Hong Kong—the gateway to China, one of the fastest growing global economies—it was an ideal choice. The school's diversity and interesting curriculum also played a role in my decision. You should have a strong reason for attending business school. This should mean you are selective about the location of the school, the specialization, and the industry you want to join after the MBA. Apart from this, you should be passionate to get the most from the degree. Remember that an MBA does not entitle you to anything. It creates a platform to display your effort and hard work. Every applicant must build their own career.